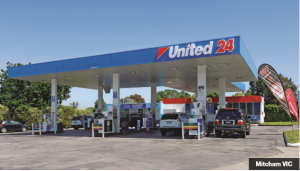 The United Petroleum service station in Mitcham, Victoria. A heated fight between law firm Herbert Smith Freehills and its former client United Petroleum has seen the pair back in court following a court-ordered mediation. The initial negotiation didn’t get very far, with both parties walking away leaving them locked in a battle over $600,000 of outstanding legal bills. United is suing the law firm and its former chairman Mr. Hudson for more than $27 million in advisers fees and damage. United alleged that the law firm was negligent in how it advised its chairman and board regarding an IPO deadline. It claimed that despite having investment banks ready to go, the IPO failed because the legal team at Herbert Smith Freehills gave up on it the day before the deadline. United’s barrister Michael Wyles said: “Mutterings that it could all be done later misses the issue entirely. Opportunities are created in commerce and this was a commercial opportunity to proceed in 2016 and it was that opportunity…which the conduct of Herbert Smith and the conduct of Mr Hudson on 23 October extinguished”. The barrister for Herbert Smith Freehills Philip Crutchfield stated that the draft prospectus was missing information and was a work in progress, despite it being only a day until the IPO deadline. At this point, Herbert Smith Freehills’ partner Michael Ziegelaar deemed the IPO unlikely to go ahead and stopeworkingng on it. A resolution remains to be seen. The IPO was stopped because this mob have zero credibility in the fuel game, especially amongst the Indian and Pakistani’s.